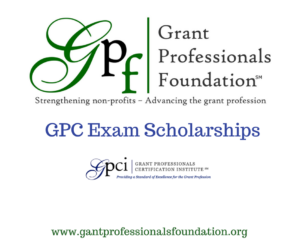 Grant Professionals Foundation is proud to support GPC™ Exam Scholarships again this year. The scholarships are open to any individual eligible to sit for the exam. The cost for sitting for the GPC™ Exam is usually $539 for GPA members and $739 for non-members.